The world's largest hotels search site, an aircraft charter specialist and the fourth largest city in Ecuador are among the new exhibitors already signed up for this year's World Travel Market London. The highest profile first-time exhibitor is Trivago, a price comparison site focused on hotels which is part of Expedia Inc. It is live in 55 markets around the globe, operates in 33 different languages and attracts 120 million users a month. It will be present in the Global Village region, where it will be joined by other first-time exhibitors including Autoclick Rent a Car, a car hire business based in Spain which has recently expanded its operations to include Paris, Brussels, Rome, Milan and other cities across Europe. Elsewhere in the Global Village, Air Charter Service will be promoting its range of global aircraft chartering options, including its specialist solutions for tour operators and travel agents. Visitors to the Travel Technology region will have the chance to do deals with a range of WTM London debutants, including some businesses based in Asia such as Rish Iyagi, a South Korean marketing agency with branches in Shanghai and Tokyo. Foreign tourist boards and international convention bureaus are among its target clients. Continuing the Asia theme Paysec, a payments service provider based in the Philippines, will be on hand for travel businesses looking at ways to accept debit cards from users based in China, Indonesia and Thailand. Making a shorter journey is German hotels software business Booklogic. Another near neighbour heading to WTM London for the first time is AudioPev, a French company specialising in the design and rental of audiophone solutions for guided tours. Airlines are a vital part of the global travel industry and WTM London continues to attract new carriers to the event. Atlas Global, a Turkish airline operating domestic and international flights into Istanbul from many European, Middle Eastern and Asian destinations, is another first time exhibitor. Coach travel is also an important player in the industry, and DJ Coaches from Kent is taking a stand in the UK and Ireland region for the first time. The firm has a fleet of Mercedes coaches available for hire by tour operators and is a specialist in mainland Europe. Finally, the Americas region will welcome for the first time representatives from the city of Machala in southern Ecuador. It is the fourth largest city in Ecuador and its port plays an important role in the country's export industry, resulting in it being known as "the banana capital of the world". 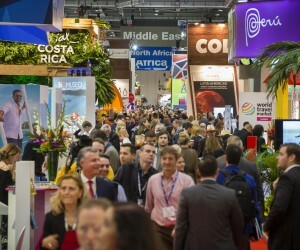 WTM London, Senior Director, Simon Press said: "The variety of new businesses already committed to exhibit at this year's WTM is testament to our ability to attract interest across all sectors and regions. 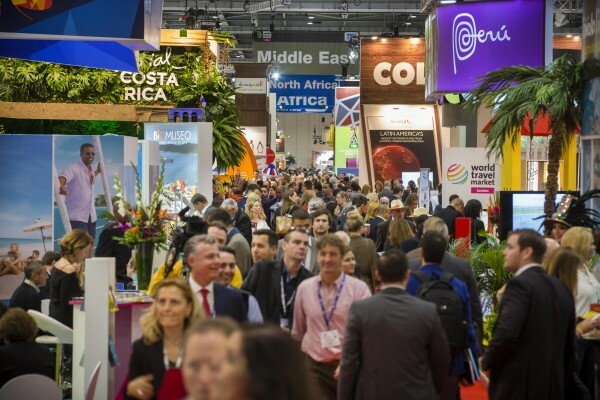 "We're particularly pleased that some interesting businesses based in Asia are committing to WTM London, reinforcing our position as the leading global event for the travel industry."